How do we protect the markets from their own overexuberance? By signaling that future failures won't get government bailouts. Even President Bush now admits our economy is in trouble, but so far his administration’s response has been one hurried bailout after another in an attempt to keep our economy from crashing. Because history is a pendulum where one policy creates a problem that is “solved” by policies intended to correct the initial policy, it is important to understand why our current economic problems occurred so we can craft solutions that don’t push the pendulum too far and create new problems. Let me first admit my bias: A free market is the basis for a healthy economy, but a free market requires that someone establish and enforce the rules that provide a level playing field. At the least, that playing field should make accurate information available to all who want to participate in the market and require personal responsibility of those who participate on both the up- and the downside. Unfortunately, the Bush administration has refused to act as a policeman, apparently forgetting the warning of the longest-serving chairman of the Federal Reserve Board, William McChesney Martin, that the function of the Fed is to “take away the punch bowl” when the party gets too exuberant. Instead, the administration has been a bartender who allows his customers to get so drunk they need to be hospitalized. Knowing there was no policeman on the beat, Wall Street threw caution to the wind and developed all sorts of ways to generate income, whether they made economic sense or not. The investment bankers ignored or hid risk. They encouraged unregulated mortgage brokers to make subprime loans that made no sense and, in some cases, were fraudulent. The mortgage brokers didn’t care; they “sold” the mortgages, transferring the risk to Wall Street firms that packaged the mortgages into derivatives that were sold, along with the risk, to investors, based on ratings by rating agencies that apparently believed that the housing market could only go up. Then the derivatives were sliced and diced until, in many cases, it was impossible to tell who really owned a mortgage, but each time these instruments were transferred, someone earned a fee that went directly to the bottom line. Eventually, these derivatives became so complex that no one really understood the risks they presented. But, so long as they generated fees, no one appeared to care. To take the lack of policing to almost ridiculous extremes, the government let banks hide their mortgage-based derivatives inside special purpose entities called special investment vehicles. The role of special purpose entities in the collapse of Enron is well-known and well-documented. That the Comptroller of the Currency allowed Citibank to hide some $81 billion of derivatives in an SIV is both an abrogation of responsibility and a classic example of this administration’s refusal to govern. Long before the crisis struck, the consequences of the administration’s actions were apparent to anyone who cared to look. Then the market worked, and they became real. People who couldn’t afford their homes because of interest-rate increases or inadequate income stopped paying their mortgages. Foreclosures rose; housing prices fell. By one estimate, 1 in 10 homeowners with mortgages was either three months behind in payments or in bankruptcy; 1 in 9 houses was worth less than its mortgage. Other lenders stopped lending to banks and investment banks because no one knew what the derivatives they held were worth. The economy froze. The administration had to do something. Letting the free market correct itself could no longer be the administration’s mantra. And its options were limited by the decline in the value of the dollar and a looming federal deficit caused by its policies. Fortunately, Henry Paulson, the former head of Goldman Sachs, had agreed to become Treasury secretary. If anyone could fix the problem, he would. He knew the consequences of removing failure — or moral hazard, as it is called — from the market. But he needed to insure market liquidity, so with the Federal Reserve, he engineered a bailout of Bear Stearns, using $29 billion of taxpayer money and giving investment bankers access to the Fed’s money for the first time. Though needed to forestall a global credit crisis, the Bear Stearns bailout has many ramifications, some perhaps not foreseen; for example, will the Fed’s priority be fighting inflation or bailing out Wall Street? Paulson also worked with Congress to pass legislation to help homeowners in trouble through no fault of their own and, of course, to help the homebuilders and banks. But these are stopgap measures. We need to institute longer-term solutions. It is clear that we need to rethink the role of the government and, in particular, the regulatory agencies in the financial system. 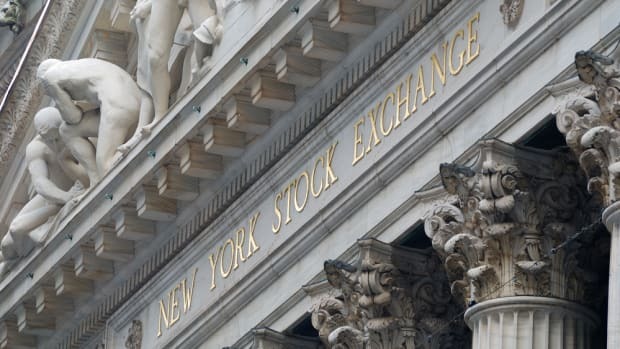 The Securities and Exchange Commission and the Federal Reserve were developed in the first half of the last century to cope with the financial system as it was then. The financial system has changed significantly, and the regulatory agencies need to change, too. The Fed has always been known as a cheerleader for the large banks, not a law enforcement agency. Yet, when the banks got in trouble, the administration decided to share responsibility for the banks between the Fed and the SEC. What it really meant is that it was taking responsibility for regulating bank stocks away from the SEC, which, at best, is a feeble law enforcement agency, and handing it over to the Fed, which is essentially not a law enforcement agency. And that’s the best gloss on the situation. If these policies are continued, they will create future financial disasters. To make sure the American people aren’t expected to bail out Wall Street for the rest of time, government must be populated by people who believe that they have a responsibility to enforce the law. Those who sat by and watched while untrammeled greed caused too many people to take too many risks need to be replaced by those who believe that government has a necessary role in making sure the free market can work. We can no longer afford to have government officials who feel their responsibility is not to keep the financial playing field level for all but to keep the rich (or, as Bush referred to them, his constituents) happy. The administration’s opposition to bankruptcy reform that would allow bankruptcy judges to modify a mortgage on a primary residence to make it affordable is a good example of government behavior aimed at aiding one class of Americans — the extremely wealthy. That bankruptcy judges can cram down a mortgage on a second home or a yacht — both most likely owned by a rich person — but not on a primary residence makes no sense. If a bank knew that a bankruptcy judge could cram down a mortgage, it would have more incentive to negotiate with a borrower in trouble and share any losses. We need to increase transparency in the market. The credit market seized up because the derivatives that generated so much income for so many on Wall Street were too complicated for anyone to value, so lenders had no real way to determine the solvency of borrowers. We should require that derivatives be openly traded on a market. That way they can be priced quickly and often. It would probably require Wall Street to have standard forms of such securities, but that can certainly be accomplished. Derivatives are not all bad. They can be used to shift and spread risk, allowing innovation and enterprise to thrive. But there are about $63 trillion of credit default swaps — a form of derivative that is essentially a naked bet that a financial instrument will not default — overhanging the market right now. They need to be cleaned up; otherwise, no one can have confidence about the value of banks’ and investment banks’ assets. Unfortunately, unraveling who owes what to whom will not be easy and will take a long time. Since credit default swaps are essentially bets, they should be banned in the future as a form of gambling. If we want to treat them as insurance against risk, we should regulate them as insurance policies. We need to make sure government regulators do not eliminate moral hazard or the risk of failure from the market. That means investors need to know that they will lose their investment if an enterprise fails — that the government will not bail them out. It also means highly paid investment bankers and CEOs need to be held personally liable for their failures. No longer should we allow CEOs or investment bankers who destroy companies to walk away with millions of dollars while all the employees get is unemployment insurance. While we’re at it, we should find out why competitive market forces are not working to hold executive compensation at reasonable levels and correct the problem. Are American CEOs really worth 100 times, on average, what a British CEO is paid? Paying top executives many times what could be justified by any analysis is not just unfair to workers; it is a fraud on shareholders, too. We need to reform our tax code to make it fairer and less complicated. We need to rethink whether income from capital should be taxed at a lower rate than income from labor. We need to remember that the purpose of the tax code is to raise revenue, so we need to simplify our code by eliminating tax subsidies and making the code enforceable. We also need to make the tax code fairer by increasing the tax burden on the very rich, who earn a greater percentage of our nation’s income than at any time since the 1890s, and lowering it on the middle class, which is struggling to make ends meet. I’ve advocated eliminating the existing corporate tax provisions and imposing a flat tax on the amount corporations claim they earned in their reports to the SEC and shareholders. But there are less-drastic steps that would work to level the taxation field. We could require companies to determine their profits and taxes by using a unitary accounting system to eliminate the ability of the multinational corporations to shift profits to tax havens abroad. That would raise more money for the federal government and help domestic companies compete against the multinationals. We also need to hire more people at the IRS so they can enforce the laws we have now. For example, the Swiss investment bank UBS has admitted that it has 19,000 U.S. taxpayer accounts that have not been reported to U.S. authorities. But the IRS does not have the resources to go after all of these apparent tax cheats, even though the IRS knows offshore accounts are responsible for about $100 billion in annual lost taxes. If we do not take reasoned steps to correct the results of the Bush administration’s refusal to govern and to police the markets, the pendulum will swing too far, the economy will suffer more extreme damage — and far more draconian steps will be taken in response. The commodities industry is now experiencing just such an overreaction. 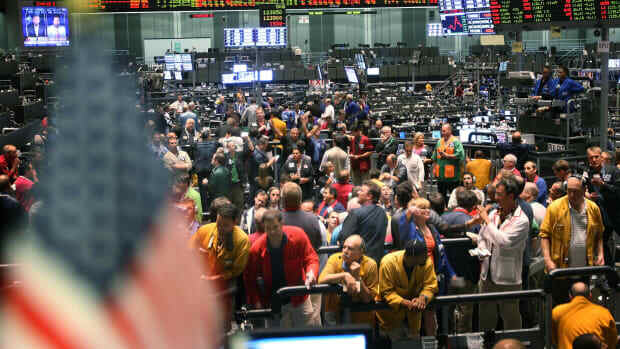 Because so many traders were making so much money, the industry would not acquiesce to a closing of the Enron loophole, which allows traders to make electronic commodities trades that aren’t subject to U.S. regulation. Many suspect that such unreported trades in the U.S. and in Europe have been responsible for significant increases in oil prices. In the face of voter outrage at high gasoline prices, Congress is now considering legislation that not only closes the Enron loophole but also imposes restraints that could have substantial adverse effects on the whole commodities-trading business. Business needs to realize that the government must begin regulating the markets with an eye toward fairness and transparency, or voter outrage will force extreme changes that could impair a free market. There are only a few issues in Congress that have such public visibility. All the business campaign contributions and corporate lobbying in the world will not convince taxpayers that continued bailouts for large market players are fair. And taxpayers convinced they have been played for suckers can be a terrible thing for CEOs to behold. Just ask Ken Lay. If we're going to rescue Wall Street, let's bail out the industrial Midwest, too. Is One of Our Major Financial Markets Vulnerable to Price Manipulation? Two researchers allege we've been missing a serious exploit in how share values get determined. The stock market retreat highlights the risk for states that weighed borrowing to cover billions of dollars in pension obligations. Scientists are working to put economic value on the natural world, hoping to create ecosystem-services markets that protect the environment. But are they really just putting out a contract on Mother Nature?